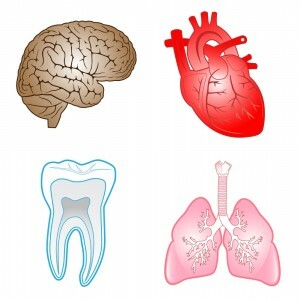 When you think about your oral health, do you ever think about what connection it might have to your body’s hormones? In most cases, probably not, but a very real connection does exist. When the body’s hormones fluctuate, a patient can become more vulnerable to gum disease, one of the most common oral health conditions a patient can face. Women are especially vulnerable because of the hormonal changes they experience throughout life. Puberty, pregnancy, and menopause are all examples of when vulnerability is high, but it doesn’t stop there—women who are taking birth control should also be careful. There’s even an increased risk a day or two before the start of a woman’s next period. So, what does this mean for patients of Dr. Goldstein? It means sticking to a good brushing and flossing routine and coming to our Randolph dental office twice a year for checkups and a professional cleaning. What’s more, if you’re taking birth control or are pregnant, it’s important to let your doctor know. Dr. Goldstein can also offer nutrition tips during your next appointment. Foods that are high in sugar or starch can contribute to potential issues with the teeth and gums. Do you need to schedule your next visit with Dr. Goldstein? Call Randolph Dental Care today to reserve your appointment. Our office serves patients from Randolph, Rockaway, Mendham, Chester, Morristown, Denville, Morris County, and beyond.